So let me guess.... While you're listening to this cast right now, I'm guessing you're also doing something else as well, right? Maybe driving a car or checking e-mail or working out. Or perhaps you're checking out what's going on with your Facebook friends. Hey, if you're doing that, look up The People and Projects Podcast on Facebook and Like us! Oops. Sorry. I got a bit distracted there for a moment! Anyway, there are seemingly an endless number of stimuli that are vying for your attention right now. Which do you focus on? Why? There are many great minds that are putting a lot of effort into these questions for it could reasonably be argued that time is not the scarcest resource any more: it's attention. As we strive to focus in a world clamoring for our attention, I wanted to share one of my favorite books that is just coming out this week. It's entitled Now You See It: How the Brain Science of Attention Will Transform the Way We Live, Work, and Learn, by Cathy N. Davidson. I had the opportunity to talk with Cathy earlier this month and look forward to sharing that discussion over the course of two episodes. You can learn more about Cathy and read her blog by visiting http://www.cathydavidson.com/. One of the lessons that eventually becomes clear is that managing is not just managing down: leading those people who report to us. In fact, the higher I got in organizations, the more I found I needed to manage up: in many ways, to lead my boss. That's a lesson I don't remember being taught in a textbook. Whether you're a project manager, team member, or senior leader, we all have a boss and learning to lead that boss is a key skill that must be developed. 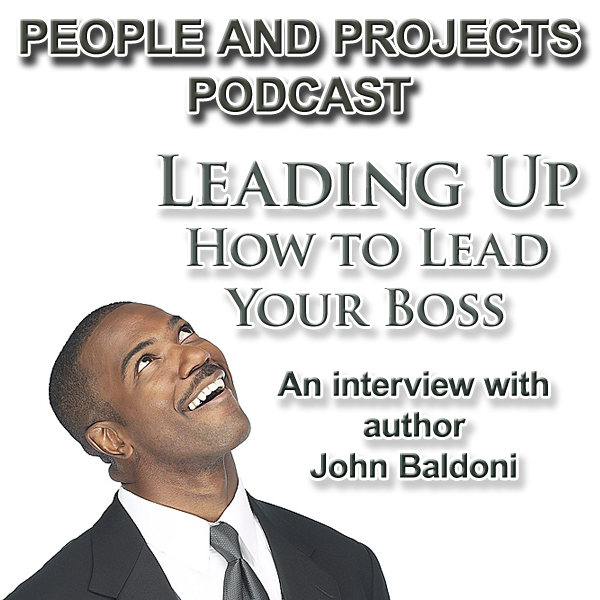 Earlier this year I had a conversation with leadership expert John Baldoni. John is the author of many books, including Leading Up: How to Lead Your Boss So You Both Win. In this episode you'll see what John has to say about how you can more effectively lead your boss. You can learn more about John by visiting http://www.johnbaldoni.com/. John recommended you check out his previous book Lead by Example: 50 Ways Great Leaders Inspire Results. Also, I recommend you check out the other book John mentioned in the interview: Lead Your Boss: The Subtle Art of Managing Up. One of the great challenges of business is how to go from idea to delivery. It's easy to talk about ideas but turning those into a finished product requires much more than talk. It can be daunting to deliver. There's the risk of failure. There's the fear of unknowns--of surprises that can create obstacles to success. Going from idea to delivery is truly challenging! 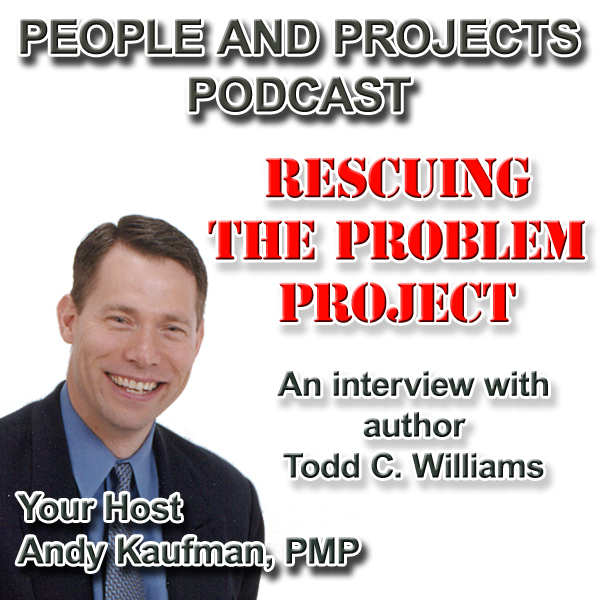 Ultimately project management is about how to deliver results but leaders of projects and teams need more than just work breakdown structures and Gantt charts. One of my favorite books of this year provides great insights for all of us who seek to lead and deliver. 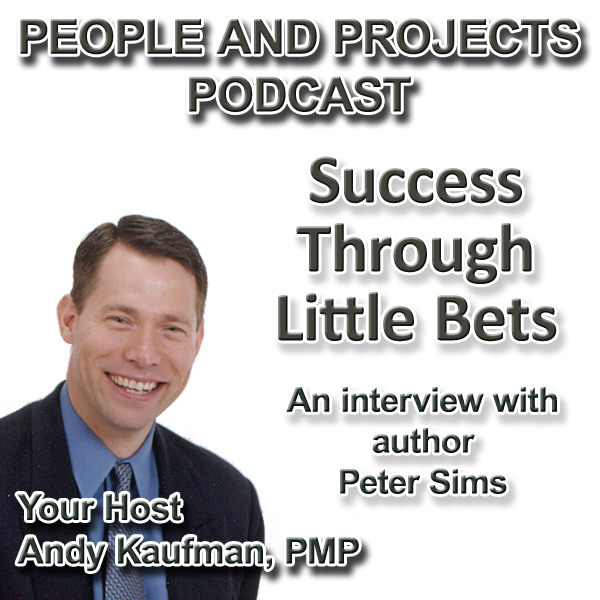 I recently had the real privilege of spending some time with Peter Sims, author of a great new book entitled Little Bets: How Breakthrough Ideas Emerge from Small Discoveries, and look forward to sharing that discussion with you in this episode. You can learn more about Peter by visiting http://petersims.com.